It's really hard to believe that this is a debut novel; there is not a word out of place and as debuts go, it really is something of a masterpiece. From the very first page, with an actual extract from the Morning Post dated 1836, I had a real sense of time and place as I was completely immersed in the Victorian era. We meet Sarah Gale as she is transported to prison after being convicted of the murder of Hannah Brown. Hannah was due to marry James Greenacre, the same man with whom Sarah had previously been living as his common-law wife. It was alleged that Sarah Gale and James Greenacre killed and dismembered Hannah Brown; a crime for which the punishment is hanging. Edmund Fleetwood takes up Sarah's case when she petitions for mercy. Sarah gives very little away and Edmund finds it increasingly difficult to help her, but he is determined to find out the truth as this high profile case will be a massive boost to his reputation. As he digs into the case he finds inconsistencies and witnesses who have been missed but, as time goes on, we begin to question whether he wants to find out the truth or simply find evidence to exonerate Sarah. Like pieces of a jigsaw, the puzzle slots together over the course of the book. I wasn't surprised to find out that Anna Mazzola works in criminal law, as all the evidence is meticulously laid out for us. We are given such a keen sense of the period, with vividly described sights and sounds, that I never once forgot that I was reading about Victorian London. 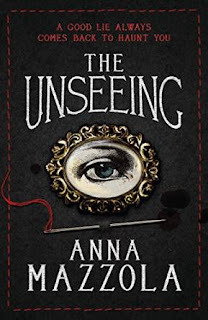 I really have to give a special mention to something that really impressed me - Anna Mazzola has managed to write an authentic historical novel without one modern day swearword in sight. I often read historical novels where the f-word is used and it feels so out of place for the period. So thank you, Anna, for keeping it real. 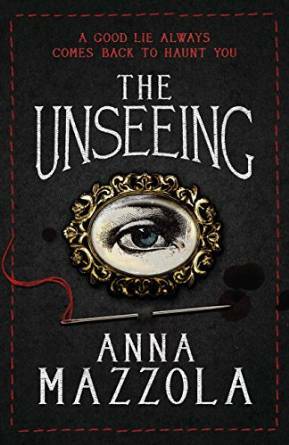 A superb debut, based on a true story, The Unseeing is a captivating, authentic and realistic literary masterpiece. From it's wonderful dark, gothic cover to the disturbing tale within, this was an absolute delight to read. I could quite happily have remained ensconced within its pages in the Victorian era as I have to admit that I was hugely disappointed to return to my 21st century reality. In the spirit of keeping it real, you can read the transcript of the Edgeware Road Murder trial here and James Greenacre's entry in the Newgate Calendar here. 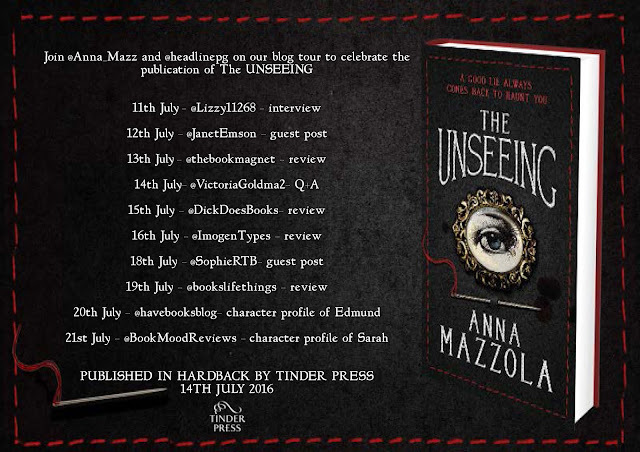 This was a lovely extra touch from Anna Mazzola to be found in the Historical Note. I received this book from the publisher, Tinder Press, via Bookbridgr in exchange for an honest review.